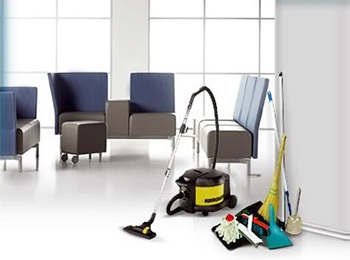 Only tried and tested cleaning liquids are used, thereby ensuring disinfection. Quotes for carpet washing can be provided. Our staff is fully trained and neatly uniformed at all times. We provide all the equipment required to ensure optimal efficiency. We give careful attention to detail and will regularly audit our service to ensure that we still comply with the original brief. Should problem areas be identified during audits, a full report, with proposed remedial action, will be handed to the customer. An in-house laundry service, providing the full spectrum of washing and ironing required to ensure that uniforms are clean and free of any bacteria, has become an important issue to some of the major companies who cannot always guarantee that their staff will report for duty in acceptably clean uniforms. This is especially true in environments where staff is subjected to dirty work conditions such as mines. Camperdown Health & Hygiene uses top of the range equipment, washing powder and other detergents to ensure clean clothing being re-issued. Camperdown is in a position to supply industrial type washing machines and tumble driers at reasonable prices.